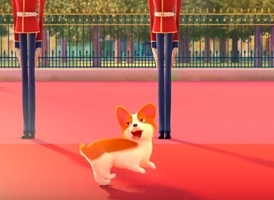 This short video has nothing to do with the new animation film "The Queen's Corgi"
Don't forget to visit the Corgihouse Advent Calendar, starting today. This year with delicious baking recipes. Ever since mom left to work overseas, my grandpa took care of me. He stood as both my father and my mother. It's a good thing my grandpa is cool. When we take a bath it's always like a party. Everyday we play at the park. We also enjoy movie marathons. My favorites are superhero movies. It's really a good thing I grew up with him because he loves me so much. 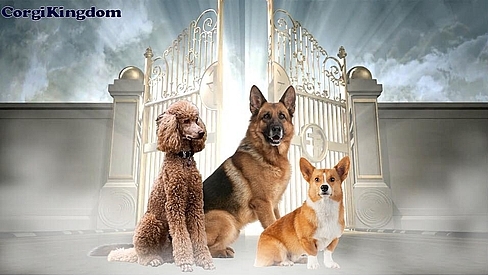 A German Shepherd, a Poodle and a Corgi died. All three stood before God on his throne, who asked them what they believed. The Shepherd said "I believe in discipline, training and loyalty to my master." God said "Come and sit by my right side." The Poodle said: "I believe in the love, care of my master and world peace!" God said "Come and sit at my left side." The Lord then looked at the Corgi who said "I believe you're sitting in my place!" Henry. The Queen's Corgi by Georgie Crawley. 2017. 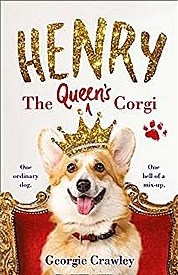 During a trip to London, Henry the pet Corgi goes missing and ends up in the private park of Buckingham Palace. A funny and heart-warming novel for Christmas. 320 p. available from Amazon. Official teaser trailer of the animation film to be released in February 2019. 08.10.2018 - The derpiest dogs hit the streets of D.C.
On Sunday 7 October, Washington, D.C. hosted the "Million Corg March" for the fifth annual "Derpin' in D.C." corgi meetup. The corgis (and their two-legged companions) marched from the Jefferson Memorial to the Washington Monument to mingle and play. 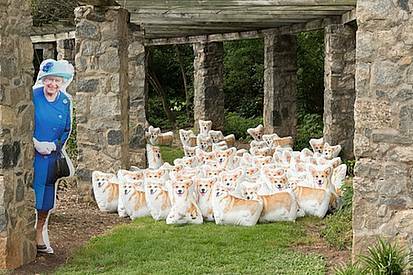 It was probably the largest corgi meetup in the DMV area for the year. 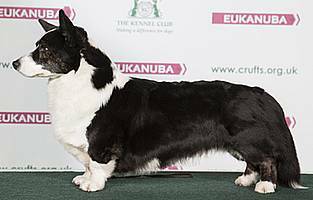 Added two older AKC breed videos about the Pembroke and Cardigan. 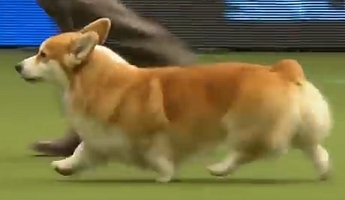 AKC meet the breeds - Video about the Pembroke Corgi. 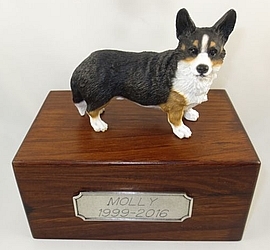 These pretty wooden urns with a pewter nameplate and removable base can hold the ashes of up to a 30 pounds pet. They are available from https://www.amazon.com, but don't ship internationally. Sometimes they are also on offer on www.ebay.com by "nrcllc" (seller in the USA, international shipment). What Kind of Dwarf are We? 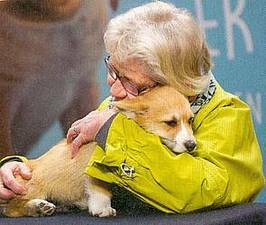 Cardigan Corgis are said to be particularly empathic! 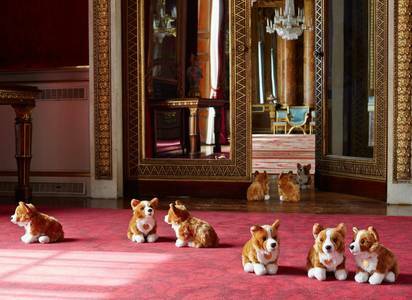 Willow (top left), the Queen's last corgi who was almost 15, was put to sleep at Windsor Castle on Sunday. He had a cancer-related illness and the Queen did not want him to suffer further. 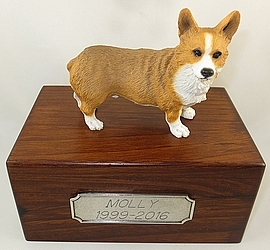 The other Corgi, Holly, died 18 months ago. 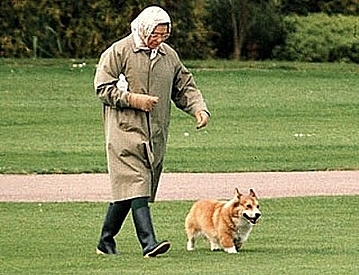 Willow's death brings to an end a remarkable history between the Queen and corgis dating back more than eight decades. Willow was the last direct descendant from Susan, a birthday present for her 18th birthday. It's truly the end of an era. No wonder the Queen is left heartbroken. The only ones left are now the two Dorgis Vulcan and Candy. 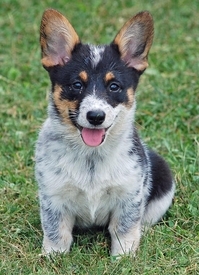 A cross between Australian Cattle Dog (Blue Heeler) and Corgi!! Not recognized by AKC, KC and FCI. 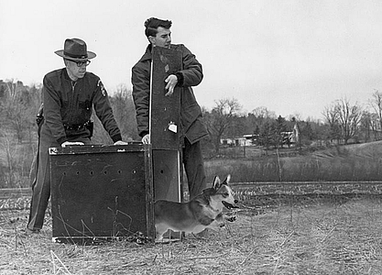 Vermont Fish & Wildlife is excited to announce that we are reinstating the little-known "Corgi Reintroduction Program." Biologists previously attempted to reintroduce this native species in 1969, but the effort failed. Corgis will be released throughout Vermont in the hopes that they will establish a thriving wild population. They were once a top predator feared even by mountain lions, but their population was decimated in the early 20th Century due to a captive-breeding program for the British Monarchy. "The Windsor Lady" in Bachelors Acre, Windsor. 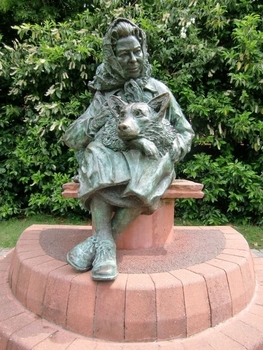 The statue is the work of Lydia Karpinska and was officially unveiled on 15 January 2015. 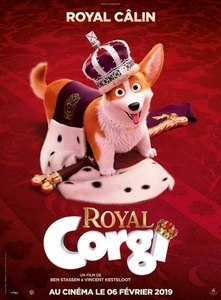 Apollo Films Distribution in Paris announce that the film "Royal Corgi" will be released on 6 February 2019. See News of 12.01.2018. For the 4 days from 8-11 March about 21'000 dogs, representing more than 200 breeds, are entered of which 3623 dogs come from abroad (48 different countries). Shortlisted were the Australian Shepherd, Bearded Collie, Border Collie, Smooth Collie, Polish Lowland, Samoyed and both the Pembroke and Cardigan Corgi out of a total of 33 breeds. Best in Group was The Border Collie with the Pembroke Corgi as Reserve. With 205 registrations in 2017, the Cardigan Corgi now ranks as number 20 on the list of the 20 most popular dog breeds in Denmark and shares this position with the Danish Swedish Farm Dog. The Westminster Kennel Club Dog Show is an all-breed conformation show that has been held in New York City annually since 1877. 11.02.2018 - Has Netflix saved the Corgi? When Netflix commissioned The Crown, the most expensive TV series ever made, the fortunes of an old Welsh dog breed were hardly at the forefront of their minds. 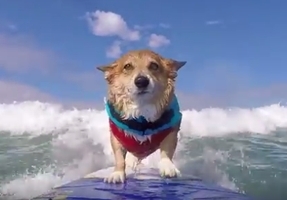 But the popularity of the series, which broadcast its second season last year, has inadvertently led to a resurgence in searches for the endangered Welsh corgi. 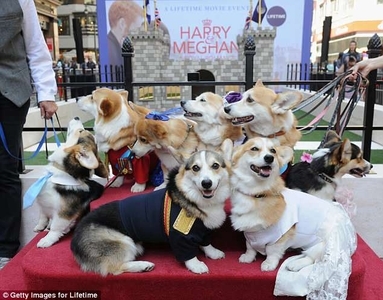 According to the Kennel Club, interest in the Queen's favourite dog breed shot up by 22 per cent last year, with registrations of corgis rising from 393 in 2016 to 456 last year. In 2014, when they were put on the club's endangered breeds list, just 274 were registered in the UK. 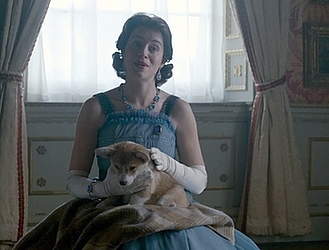 In season 2, one scene depicting the visit to Buckingham Palace of President John F Kennedy and his wife Jacqueline Kennedy - regarded as one of the most stylish women in the world at the time - the Queen (Claire Foy) and the First Lady (Jodi Balfour) are seen surrounded by several Corgis. 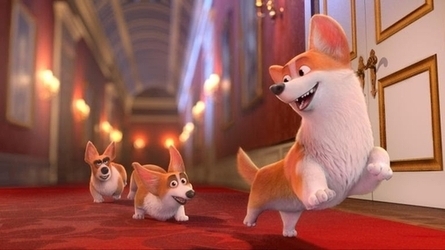 One of Ben Stassen's Brussels-based nWave most creatively ambitious projects to date is the upcoming 3D animated adventure tale "The Queen's Corgi" written by Rob Sprackling and Johnny Smith. Budgeted at more than $20 million, the film follows the adventure of Rex, the British monarch's most beloved dog, who loses track of his mistress and stumbles across a fight club with dogs of all kinds confronting each other. During his epic journey to find the queen again, Rex falls in love and discovers his true self. The film will be in the spirit of Disney's canine classics such as "The Fox and the Hound" and "Lady and the Tramp" and is expected to be released in the first quarter of 2019. Starting tomorrow 1st Decemnber. Don't miss it, it's online one day only at the time. among election posters in connection with the recent Danish municipal and regional elections. All about DM, IVDD, Arthritis, etc. Two cute videos added to Videos under "Fun"
24.07.2017 - Has the Queen Adopted a New Corgi? 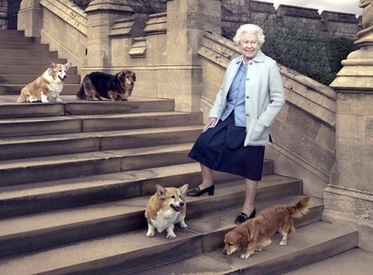 It appears Queen Elizabeth isn't quite finished with her corgis after all. 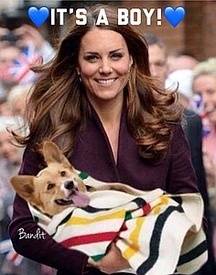 Despite saying that she did not want to take on any additional pets back in 2015, she has - reportedly - adopted a new dog: a nine-year-old corgi named Whisper. Whisper belonged to the late Bill Fenwick, who served as Sandringham's gamekeeper, and the Queen took him (and a Bichon Frise) for walks when Bill passed away in January. The Queen was close with Bill and his wife who died several years ago. 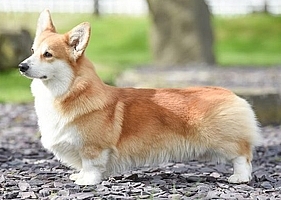 The Fenwicks often kept and trained the Queen's corgis. 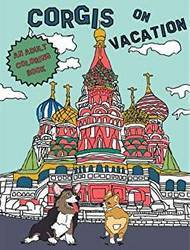 It's even said that they were given a two-story home so that the corgis could practice going up and down stairs in anticipation on getting on and off airplanes. After the Fenwicks did so much for her dogs, it seems natural that she might welcome Whisper into the fold which at present comprises Willow the corgi and the dorgis Vulcan and Candy. 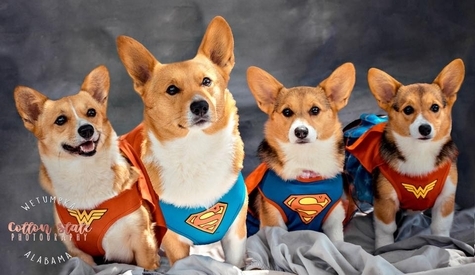 Is a Corgi the Right Dog for You? This year, Crufts drew a total entry of 21'790 dogs of which 3'469 came from overseas. Judging of the Pastoral Group took place on Sunday 12 March. Accepted colours are blue merle, brindle, red, sable, tricolour with bridle points and tri colour with red points. All of the above with or without typical white markings on head, neck chest, underparts, legs and feet, white tail tip. White should not predominate on body or head where it should never surround the eyes. Nose and eye rims must be black. Liver and dilute colours highly undesirable. 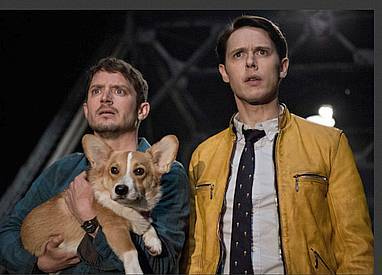 Holistic detective Dirk Gently investigates cases involving the supernatural in new TV Series. A Dog's Purpose is an American comedy-drama film directed by Lasse Hallström. 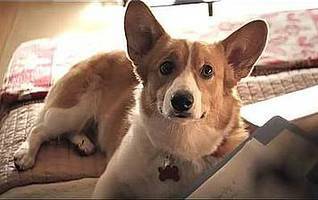 It is based on the 2010 novel of the same name by W. Bruce Cameron and shares the soulful and surprising story of one devoted dog who after his death is reincarnated in a new dog, among them as Pembroke Corgi, whereby he finds the meaning of his own existence through the lives of the humans he teaches to laugh and love. The film is scheduled to be released on January 27, 2017, by Universal Pictures. 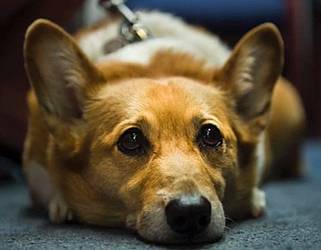 Sutter Brown, the Pembroke corgi belonging to California's Governor Jerry Brown became ill in October and underwent emergency surgery. However, a particularly aggressive form of cancer could not be entirely removed. Sutter returned home, and to the Governor's Office. He was outside the Governor's Mansion to greet trick-or-treaters on Halloween, and accompanied the governor to vote on Election Day. But in recent days his health had deteriorated rapidly and it was decided to let him go. On 30 December, he passed away peacefully with the Governor and First Lady at his side and was laid to rest at the family ranch in Colusa County. Sutter is survived by Colusa Lucy Brown, who joined the Browns as a puppy in 2015. The Governor's Office said she would assume Sutter's duties as first dog. 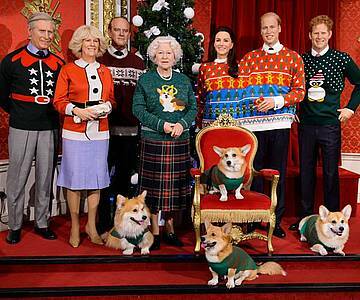 All through December Madame Tussauds in London had dressed the Queen, Prince Philip, Prince Charles, Camilla, Prince William, Princess Kate, and Prince Harry, as well as the Corgis in rather fancy Christmas sweaters. The royal family had given permission for the exhibit as part of the Save the Children's Christmas Jumper Day campaign on December 16, which provides everything from education to clean water for children around the world. Needless to say that the waxen royal family was a great success among the public. 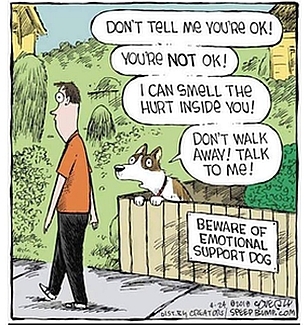 Ever wonder what the pets you love do when you are not at home? Great computer animations film by Illumination Entertainment (2016). 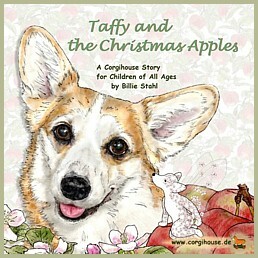 Features a corgi and lots of other breeds. 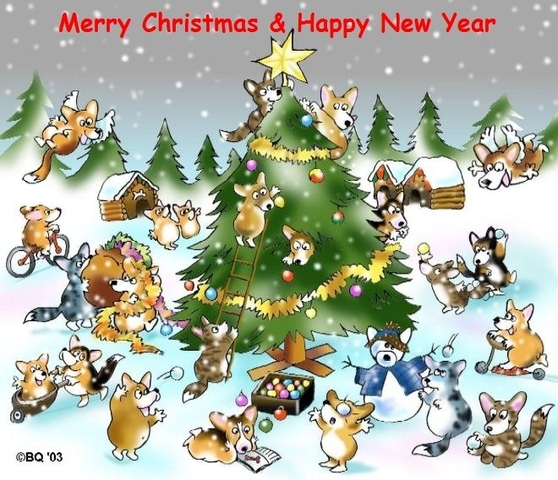 Please make sure to visit the Corgihouse where you can find the popular Advent Calendar starting on 1 December with a new surprise. First Dog returns to work, resumes limited office trash can inspections, rigorous nap schedule. 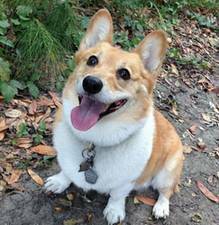 Sutter Brown, the 13 year old Corgi of Jerry Brown, Governor of California, and his wife Anne Gust Brown, has fallen critically ill with cancer. Sutter has been a very important part of the Brown's family since 2010, as well as the governor's office family. He has since become one of the most popular figures in California politics. Sutter's health began to quickly deteriorate on Friday, 14 October, and he underwent emergency surgery shortly thereafter. While Sutter pulled through surgery, the vets were not able to remove all of the cancer and his condition remains critical. However, according to a tweet from Anne Gust Brown in the evening of 17 October, Sutter came home and "rolled in the grass, sniffed all his favorite places and then passed out (fell asleep)". 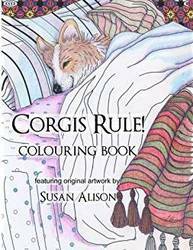 Sue Harrison - My Life with Corgis. 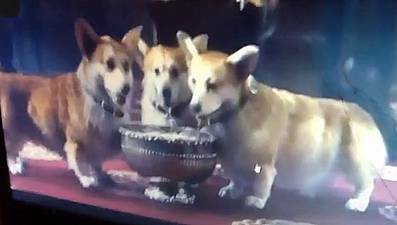 Three "royal" Corgis in Disney's new film "The BFG" directd by Steven Spielberg. 6 Heats and Final with comments!! Why not celebrate the Queen's official 90th birthday on 11 June 2016 with 90 Corgi pillows. 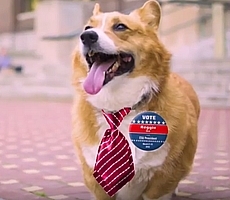 The American estate agents Realtor.com recruited a corgi to show prospective customers their new home on YouTube. 08.04.2016 - Help Shelter Dogs by Viewing this Video! For every single view of this video Puppy Chow will donate one pound of Puppy Chow Natural to Rescue Bank®. The company will donate up to 500,000 pounds through April 23, 2016. 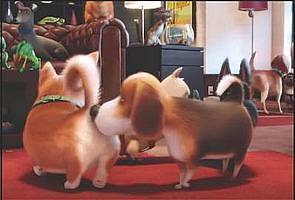 There are many adorable Corgi puppies plus a few other breeds. 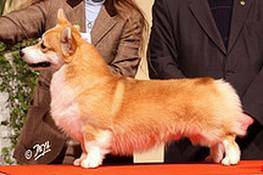 Official pedigree dog figures show that the Pembroke Welsh corgi experienced such a boom last year that the breed is no longer at risk. 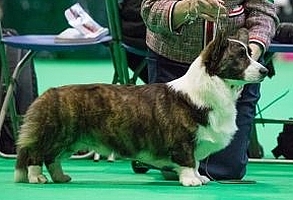 The number of Pembroke Welsh corgis had dropped so low in recent years that the Kennel Club feared they were in danger of dying out in its country of origin. 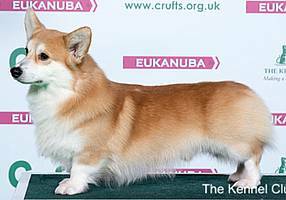 Two years ago there were only 274 Pembroke Welsh corgis registered with the Kennel Club but numbers increased by more than a third in 2015 so it is no longer classed as a vulnerable native breed. Instead, it will be on the club's Watch List, which monitors breeds with less than 450 new puppies. 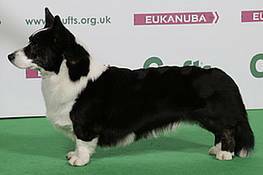 The Cardigan Welsh corgi, on the other hand, with only 124 registrations is still at risk in its country of origin, whereas in the Scandinavian countries the breed is much more popular than the Pembroke. Total entry 21919, the highest total since 2010 which drew 21947 dogs. A puppy should not be bought on an impulse but after careful consideration. 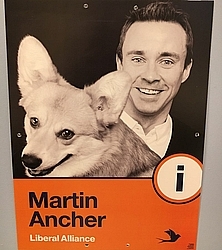 To make the public aware of this, the Danish Kennel Club arranged a happening with TV coverage at Copenhagen Central Station on 14 October 2015. X-pens were set out on turf where the puppies of various breeds could play and rest. The event attracted wide interest among passers-by. Adults and children were allowed to pet or cuddle the puppies while the breeders and DKK representatives answered questions and gave advice. The two station policemen were so charmed by the Pembroke puppy that one day you might see a Corgi herd demonstrators and criminals! A new puzzle has been added (at the bottom) which I hope you will enjoy. 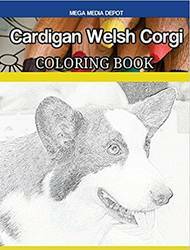 281 pages of recipes from Cardigan Corgi Folks Worldwide, collected by Jeffrey Welch, Cynthia Smith and Adrienne Alexander. 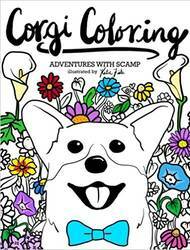 The recipes are organized in sections each of which opens with a drawing by an artist who, of course, houses at least one Cardigan Corgi. Vegans, vegetarians, carnivores, omnivores, picky eaters, and dogs will find plenty of temptations. The book also includes a food toxicity page contributed by Bobbie Mayer, PhD. The recipes are contained in a loose-leaf leatherette binder. The book can be ordered from Jeffrey Welch at the price of USD 25.00 plus shipping (domestic 5$, Europe 15$) The profits go to Cardigan Rescue and CWCCA Junior Assistance Grants.